A Massachusetts court judgment this week is a tragic reminder of what can happen when teens drink and drive and social host liability laws are ignored. On Monday, 23-year-old Craig Snow was ordered to pay $1 million each to the parents of Julia Gauthier. In 2010, 19-year-old Gauthier, a freshmen at Salem State College, was killed in a car accident in Lynn when her boyfriend Christopher Maxson rolled the SUV he was driving. She and Maxson had just left a party hosted by Snow, who had provided the alcohol that night. Maxson pled guilty to motor vehicle homicide while driving drunk in December 2010. Snow was charged criminally under Massachusetts’ social host liability law, but avoided jail time. Gauthier’s family also filed a civil lawsuit against him, resulting in this week’s judgment. “The question here is reasonableness and you should not furnish so much alcohol to any guest that you have that they leave your house inebriated,” attorney David White said in a television interview this week with FOX 25 News Boston. 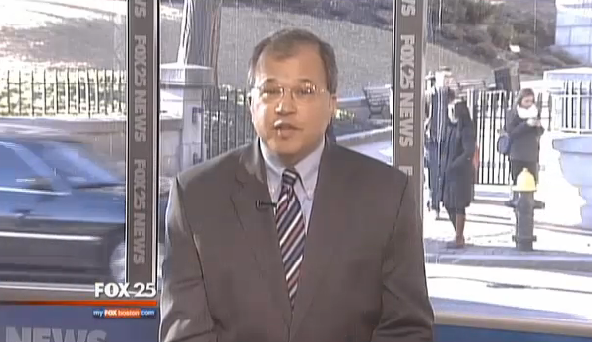 Watch the Fox 25 News Boston interview. Read more about the social host liability law on our website. Teenagers who host underage drinking parties but do not supply alcohol cannot be held liable in Massachusetts for injuries suffered by their guests, the state’s highest court has ruled. The ruling continues to limit liability to social hosts who either serve alcohol or exercise effective control over the supply of alcohol. The Supreme Judicial Court also released parents or property owners from any liability if they did not know about the drinking or did not provide alcohol. The case was brought by the family of Rachel Juliano and her parents against Christopher Dunbar and Peter Simpson, then later also his daughter Jessica Simpson. In 2007, Juliano, then 16, and Dunbar, then 19, went to a party at Jessica Simpson’s Wrentham home. The two had brought their own alcohol and consumed it at the gathering. Simpson, then 19, was home alone, and her father was away and unaware of the party. After a few hours, Dunbar left in his car with Juliano and had a car accident, leaving her with brain damage. Prior to leaving the party, the two had been arguing. Jessica Simpson intervened and proposed she drive the two home. There were two concurring opinions. Three of the justices agreed with the result, but did not agree with the reasoning of the majority in the case. This case has now been remanded to the Superior Court for further proceedings. Although the Supreme Judicial Court has the authority to define the common law, and to determine the extent of legal duty that one person has to another, the court declined to expand that duty in this case. The Court has been active in recent years. For example, in 2010, the Court changed the common law in snow and ice cases, abrogating the old Massachusetts law that recognized distinctions between natural and unnatural accumulations. Papadopoulos v. Target Corporation, SJC-10529 (July 26, 2010). The Court also expanded the duty of limousine services which transport customers from party to party where heavy alcohol use is evident; the Court defined a duty to ensure that the drunken passenger had safe passage from the point of pick-up to drop-off at the end of the night. Commerce Insurance Co. v. Ultimate Livery Service, Inc., SJC-10149 (November 26, 2008). Underage drinking and driving under the influence remain serious problems in Massachusetts. There is no pressure from the Supreme Judicial Court to treat these ills. Instead, the Court has left these problems for the legislature to address. Given the fact that the legislature has declined to take any needed action for many years, we can expect injuries and deaths caused by drunken driving to continue unabated. Click here to read Juliano v. Simpson, (SJC-10843, February 21, 2012). Click here to read about the Massachusetts social host liability law.